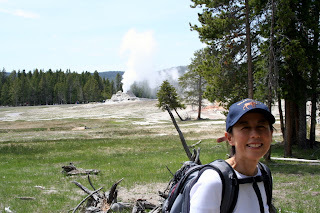 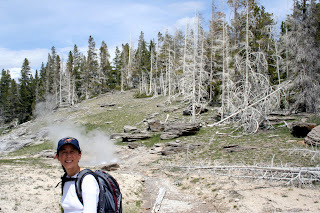 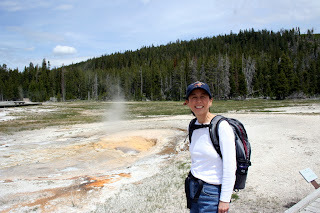 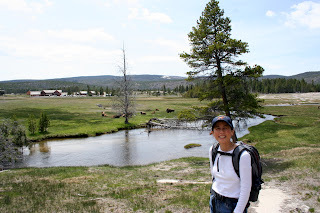 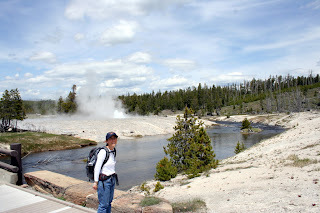 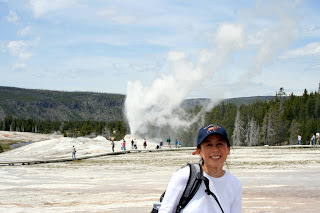 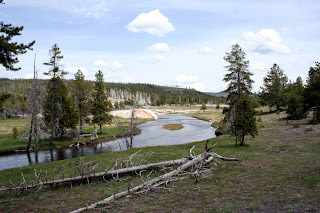 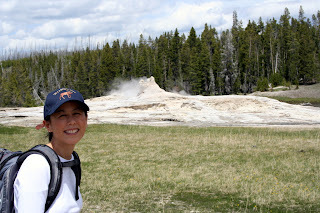 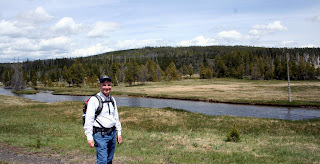 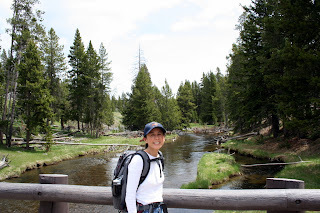 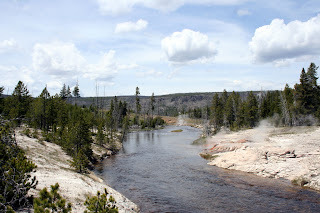 Catherine and I walked through the Upper Geyser Basin by walking along the boardwalks and paved trails in this area. 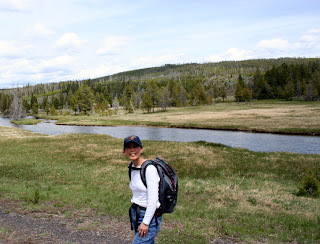 The hike is between two and four miles long depending on which trails you follow. 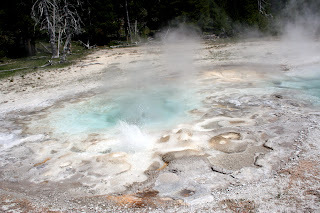 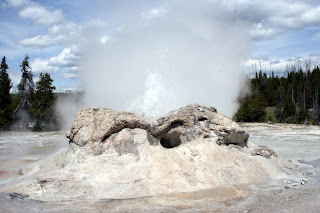 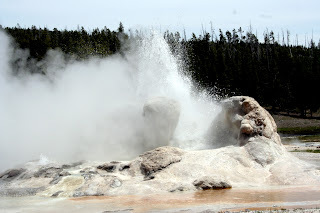 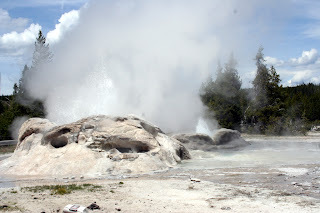 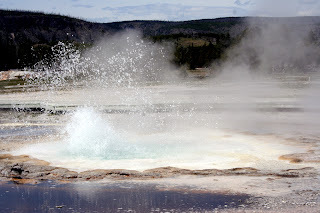 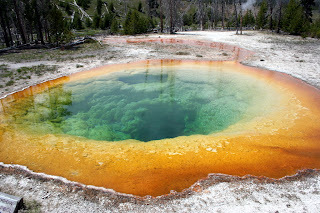 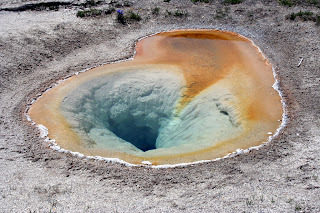 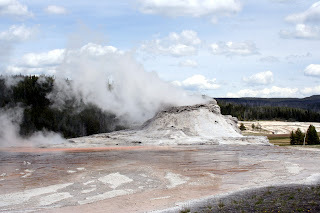 The Upper Geyser Basin contains twenty percent of the world's geysers, the largest concentration on earth.The one square mile basin has several groups of hot springs and over 150 geysers,including Old Faithful. 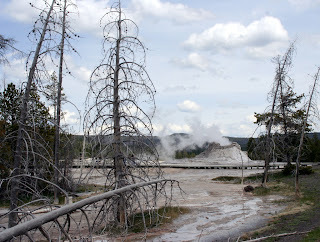 In the background of this photo you can see the Old Faithful Inn. 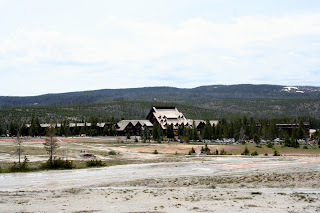 Catherine and I stayed here while we visited the Old Faithful area of Yellowstone National Park. 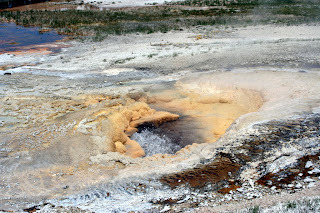 Along the rim of the caldera in Yellowstone is the Upper Geyser Basin, which has the highest concentration of geothermal features in the park. 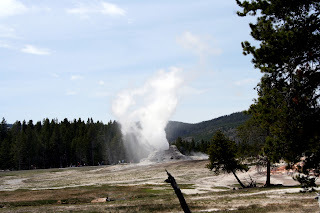 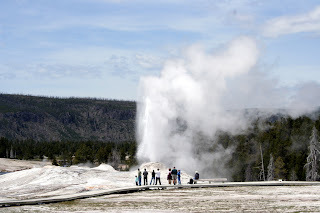 This area includes the Old Faithful Geyser, as well as four other predictable large geysers. 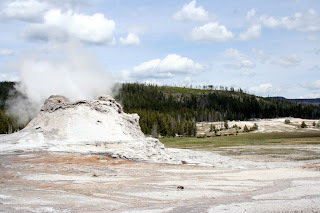 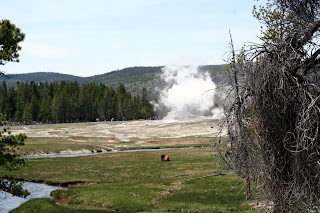 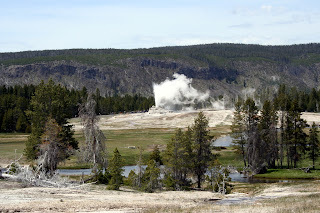 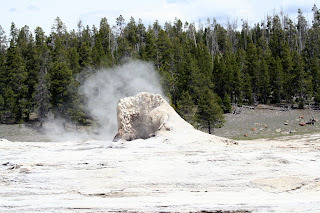 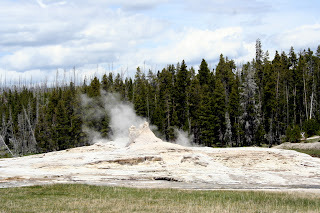 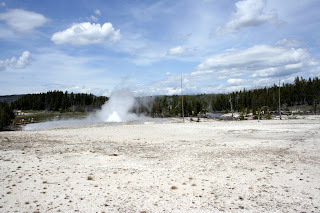 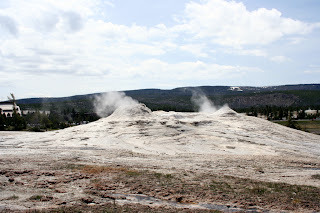 One of these large geysers in the area is Castle Geyser which is about 1400 feet northwest of Old Faithful. 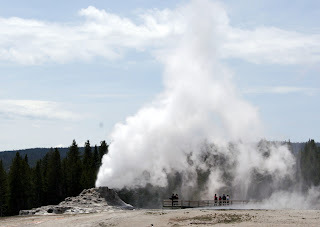 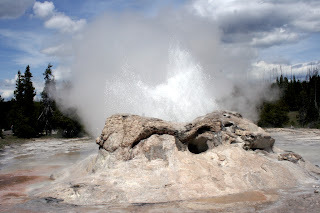 Castle Geyser has an interval of approximately 13 hours between major eruptions, but is unpredictable after minor eruptions. 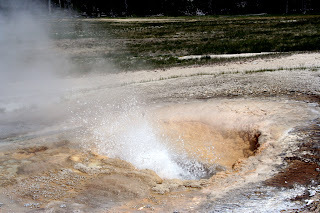 The other three predictable geysers are Grand Geyser, Daisy Geyser, and Riverside Geyser. 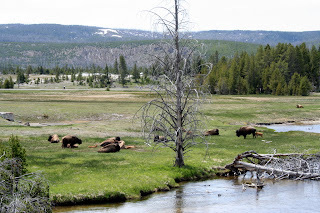 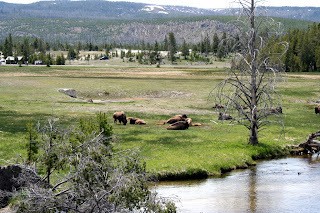 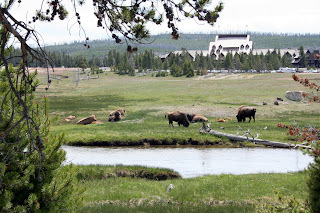 There were lots of American bison (buffalo) in the Upper Geyser Basin area. 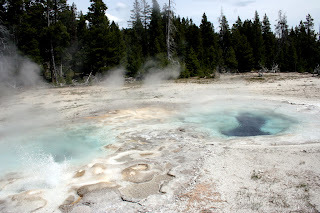 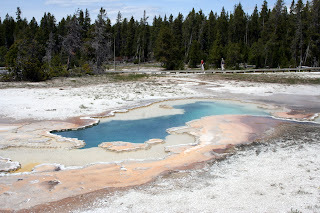 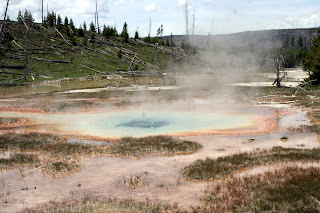 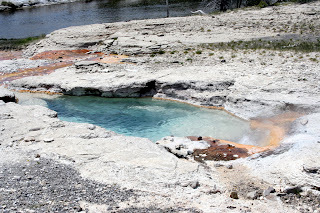 The Upper Geyser area is beautiful with the thermal features, small streams, buffalo. 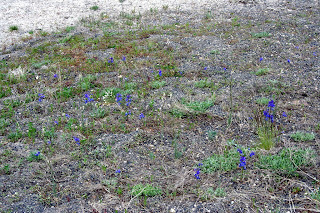 A field with small blue flowers.